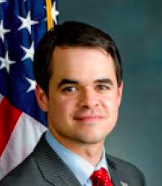 Senator Carlucci (D-Rockland/Westchester) has introduced a bill (S6502) that will allow property taxes that are no longer deductible from federal income taxes (because of the $10,000 cap) to be deducted from state personal income taxes. This will allow taxpayers in New York to continue to take the full deduction against their New York State income tax. “The GOP tax bill is going to be devastating to residents of New York State. Capping deductions for State and Local Taxes at $10,000 is unfair to our middle class families. My bill will soften the blow to taxpayers from the burdensome effects of this Republican tax scam.” said Senator David Carlucci. New York State law allows for tax receivers to collect property taxes after the warrant date in each individual county. Many counties in NY have a warrant date of December 27, which allows for property tax payers to pay their bill before the taxable year begins. “I am calling on local municipalities to do everything they can to allow homeowners to prepay their property taxes before January 1st. It is now up to town clerks and tax assessors to work together to help property tax payers.” said Senator Carlucci. The process of the warrant being signed by a county, delivered to and processed by a town clerk or tax assessors office can be lengthy, often requiring 2-3 days mainly due to tradition. The warrant could be signed, delivered early and post dated to speed the processing time after a clerk or assessors office receives it. The Clarkstown Town Clerk’s Office has received hundreds of phone calls from homeowners looking to pay their property taxes early. “This is not the time to stand on formality, this is the time to act in service of the taxpayers,” said Clarkstown Town Clerk (D) Justin Sweet.